If you have patellar tendonitis, you’ve overworked certain parts of your patellar tendon. In other words, parts of your patellar tendon are still completely fine, but some areas are damaged. If overuse continues, your tendon eventually becomes painful. When you put on a patellar tendon strap, you’re changing which parts of your patellar tendon you’re stressing the most. You’re redistributing tension inside the tendon. In many cases, this gives injured areas a break, which is why your pain may go down. 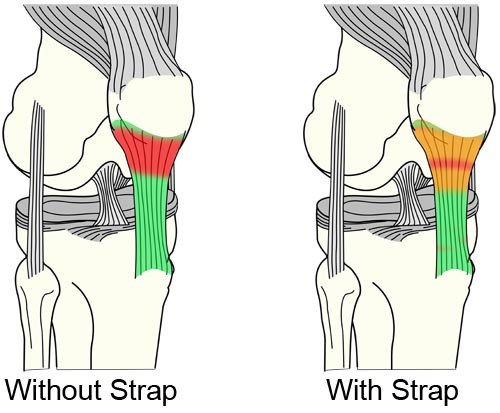 Patellar tendon straps change how force is stress is distributed inside your tendon. This may seem like a good thing, but it’s actually a huge problem and a psychological trap. Here’s why. You have hidden biomechanical problems in your body that place excessive force on your patellar tendon. This can be tightness in certain muscles for example and I’ll give you a way to fix this in a moment. You’ve repeatedly interrupted your tendon’s adaptation response to your training. In other words, you’ve trained too often. There are ways to speed up your tendon’s adaptation, but that’s a topic for another video. Let’s get back to the tendon straps. But if all you do for your patellar tendonitis use the strap, your pain may go down for a while, but it’ll come back eventually because you haven’t fixed the actual causes for your injury and I don’t want this to happen to you. As an analogy, think about bending a paperclip. If you bend the clip too often at the same spot, you’ll cause more and more damage and eventually it’ll break. The same happens in your patellar tendon if you don’t fix the two causes I mentioned earlier. Let’s say you put on a patellar tendon strap and continue your regular training. Continuing with our analogy, you’re still bending the paperclip, just in a slightly different spot. The clip will be fine for a while longer, but you’re still destroying it and it’ll break eventually. Patellar tendonitis is a frustrating injury that will trick you into ignoring it until pain finally forces you to drop out from sports. Based on my experience in helping others with this injury, I think this is how it happens for most people. By reducing your pain for a while, the patellar tendon strap may tempt you into continuing your training without any other changes. Inside your tendon, your injury is actually getting worse. You’re doing more damage, just in different areas. You’re also increasing your future recovery time, as you’re progressing to crippling stages of patellar tendonitis. Meanwhile, your chances of full recovery get a little smaller with every training session. 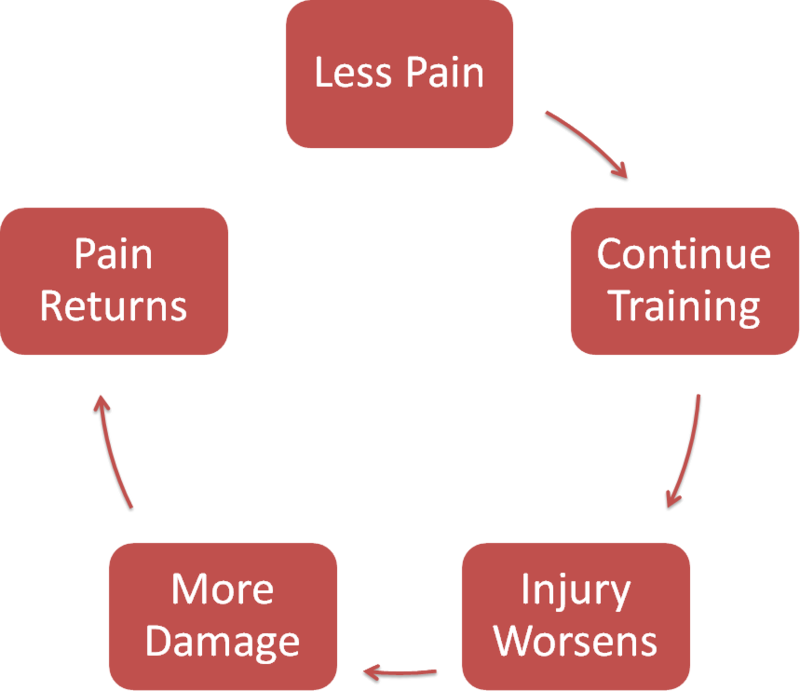 The strap is just a crutch that allows you to keep training the way you’ve been doing it without any other changes, but the way you’ve been doing it is exactly the path that led to your pain. Your tendonitis will still get worse unless you do the right exercises. I don’t want you to suffer through years of pain. 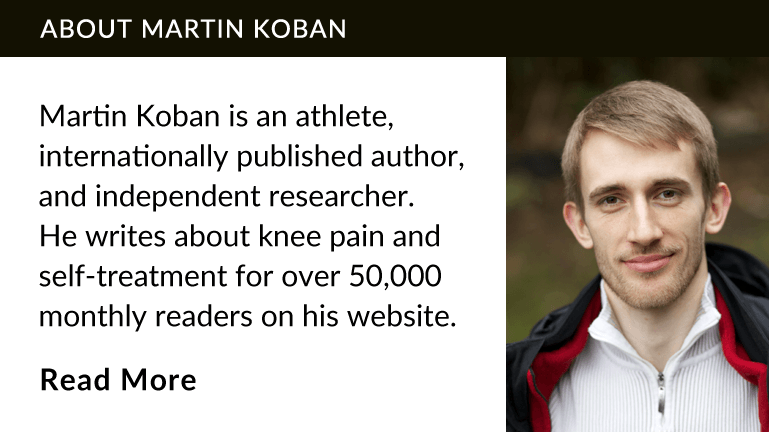 To help you get back to enjoying your life, I’ve created a free email course on how to get rid of your patellar tendonitis by fixing hidden biomechanical causes in your body. 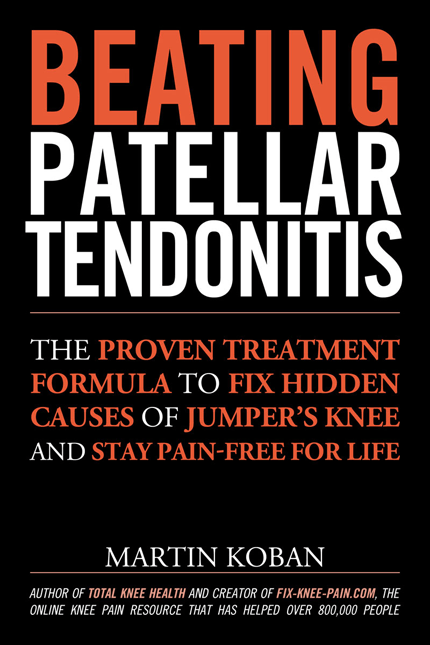 You’ll also learn a simple technique for instant pain relief that has worked for thousands of people and I’ll send you the two most important chapters of my book Beating Patellar Tendonitis as a gift. Sign up right now by clicking here. Now before I end this video, I’d love to hear about your experience with patellar tendon straps in the video comments. Share your story or your questions.